From working with artists like Lecrae and Tedashii, traveling across the United States, to sharing with inmates and kids in group homes, his message is the same - be different; be like Jesus. 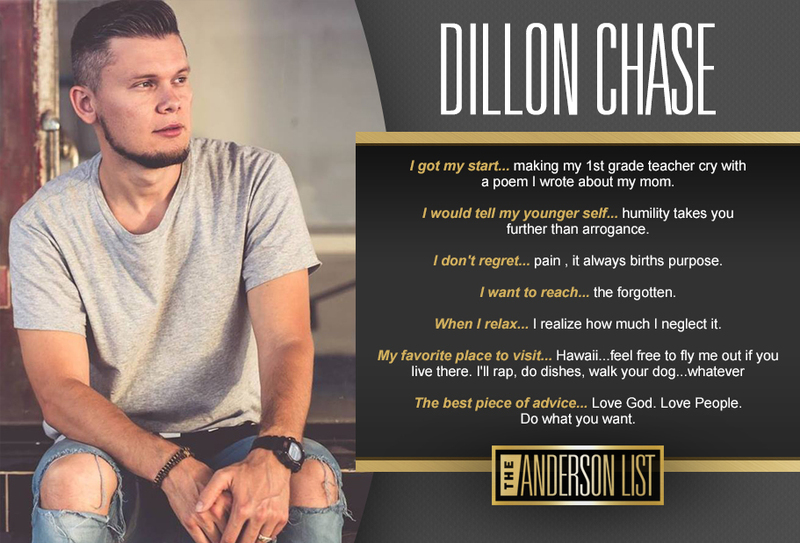 DIllon is a hip hop artist with a high level of skill that will leave you clapping screaming, “That boy good!”. Off stage, his integrity and love and respect for his family shine brighter than anything.